Do an image search for “home theater” and you’ll see photo after photo of huge, lavish theaters with seating for up to twenty (or more!) and giant screens. These ideals are every tech geek’s dream, but let’s face it; most of us don’t have the money or space. Instead, home theater systems are usually placed in living rooms or, if you’re lucky, a small bedroom or office dedicated to entertainment. Home theater design in a normal room, where every element can’t be controlled, is more difficult – which leads to some common mistakes. Humans aren’t built to look up. Even a slight upward tilt can, over the course of several hours, cause a noticeable pain in both the neck and shoulders. Most ergonomic experts 3 Easy & Inexpensive Ergonomic Enhancements For Your Home Or Office 3 Easy & Inexpensive Ergonomic Enhancements For Your Home Or Office Most geeks are addicted to their desk. It’s particularly bad for those of us who both work with a computer and play on a computer. Humans weren’t made to sit in chairs for hours at... Read More recommend positioning a display so the center of your gaze lands somewhere between the top quarter to the top edge of a TV or monitor. This means your television should ideally be mounted so that its center is somewhere between 3 and 5 feet off the floor, depending on the height of the seating in your home theater. We all know that our proximity to an object changes what we can perceive, yet many people forget this fact when putting together a home theater system. Many sit too close, which decreases perceived quality, or too far away, which makes fine detail difficult to appreciate. For example, a person with 20/20 vision will begin to lose visual acuity when watching a 50” display from more than 10 feet away. There are a lot of geeky calculations required to determine the optimal viewing distance, but you don’t have to fuss with them thanks to home theater calculators on the web. My favorite is EngeineringCalculator.net. Note that, depending on the size of your room and television, an optimal viewing distance may be impossible to achieve – which is why you must buy an appropriately sized television! Lighting has a huge impact on image quality, so you should make every effort to place your television in an optimal spot. Never place it where direct sunlight will fall on the screen while you’re watching it, and don’t place your television opposite a very large window. If all of your rooms are bright consider buying blackout shades or blinds. These can keep lighting out of your room even on a sunny day. 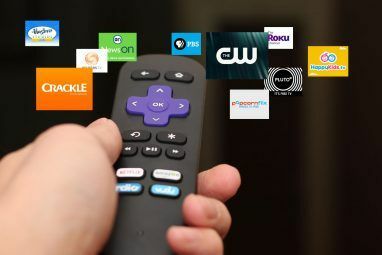 No one wants to have people walking in front of their television, yet many people arrange their living room so the only way between the kitchen and the front door is to trot right in front of the TV. This can even become a hazard if you have small children, as they’ll be more likely to play in open areas. Squirt-gun fights and televisions don’t mix! If foot traffic is a problem, try to break it up by moving your seating forward so there’s a different path through your home (but remember not to sit too close). Also consider a coffee table – nothing says “don’t walk here” like a big piece of wood or glass. Speakers are important to a home theater, but some people find them unsightly, so they end up tucked away in a cabinet, which is a mistake. Sub-woofers placed in cabinets will have their output muffled and muddied, while speakers can suffer the same fate while also dealing with sound staging issues (i.e. sound will not seem to be produced in the direction it should). Many people assume full surround sound is a must-have, but this approach has drawbacks. The satellites that will sit behind the viewer must be connected, and that means either opting for expensive wireless speakers or stringing speaker wires under and around carpet. You also must find room for the speakers and, as mentioned, they shouldn’t be located in furniture. They also shouldn’t be closer to the viewer than the front stereo speakers. These limitations can make full 5.1 (or better) surround more trouble than it’s worth. The value available to today’s consumer is amazing. Even $1,000 is enough to put together a decent set-up How To Buy Maximum HDTV With Minimum Cash How To Buy Maximum HDTV With Minimum Cash Read More if you’re a hawk for deals, and $2,000 can make for a truly impressive experience. Yet consumers under-budget in strange ways. If I had a dime for every $2,000+ television I’ve seen paired with a $100 sound bar (or no sound at all) I wouldn’t be rich, but I’d be eating a cheeseburger. Before you buy anything, sit down and make a list with the following items; television, speakers, receiver, stand, cables, surge protector. You should plan to buy every item (unless you already own it, of course). And you shouldn’t spend less than $200 on each of the first three items. Building a home theater system is kind of like buying a new car. There’s no need to do it more than once every few years even if you’re rich, and many people stick with their purchase for a decade before upgrading again. This, combined with confused and mixed information in retail stores, can cause wallets to open a little wider than planned. Receivers are a good example. In terms of quality, there’s minimal difference between a $300 Onkyo receiver and a $1,000 Pioneer, and most of the extra cost goes to increased power and more features. But do you need those features? Do you know what they do? If you answer no to either, hold off on the big-ticket items until you understand what you’re buying. This applies to cables, too. A Monster HDMI cord with nitrogen injected gold plate megafilters (or whatever) may sound great, but a $10 cable from Monoprice will work, too. Nothing in a retail store 6 Sales Tactics To Avoid When Buying Electronics At A Retail Store [Opinion] 6 Sales Tactics To Avoid When Buying Electronics At A Retail Store [Opinion] Going to the store is usually a simple process. You pop in, get what you want, and leave. Many stores go to great lengths to ensure that their customers can easily find the item they... Read More is credible, including your own eyes and ears. Televisions look different, and speakers sound different, when they’re on the show floor. Store lighting alone can change your perception; it will steer you away from plasma televisions, for example, because they’re not as bright. Read reviews from professionals. They’re the only people who judge televisions side-by-side with equipment that takes human bias out of the picture. Use that information to guide your purchase while also considering the feature you want. If you’re building a home theater system for the first time you might neglect a simple but important detail. Power! If you have a television, receiver, subwoofer, Blu-Ray player and game console, you’re looking at five power outlets. Does your room have five outlets within reach? Probably not! And before you buy cheap protectors, consider the value of your theater. A $20 protector will provide outlets but, in the event of a power surge, it’ll be toast – along with whatever was connected. Look for a surge protector from a reputable company and a warranty that promises to cover the cost of any electronics damaged by a power surge. These ten home theater design tips should help you lay out a much better home theater, even if you live an apartment that’s with barely enough room to fit a 42” HDTV. Do you have some advice that’s not found here? Let us know in the comments. Explore more about: Home Theater, Television. I know you said to save up, but I think you need more than $1000 for a decent set up. I highly recommend saving up for a player that's nice (ex: https://www.kaleidescape.com/products/encore/). It's worth it! I think an even better tip that surge protectors is to buy a power backup unit, most commonly sold by APC. For about $75, you get surge protection and your devices avoid going on & off when/if the power goes out or flickers. I agree completely with using a UPS or SPS to avoid cycling power. I lost several VCRs to unreliable power and then bought an SPS and never lost another to power hits. Good call on the "Don't trust your judgement/TV's looking different on the sales floor v. at home." The units produced today often have a store demo setting, with instructions to switch to the home setting when setting up. Just to mention, sound proofing the room theater must also be considered? Thanks Matt, informative article. Sound proofing might be useful if you live in an area with high ambient noise, but it's too expensive and bulky to be practical for anyone lacking a dedicated home theater room. Hi, Thanks for the great article. However I wonder why you neglected to mention what many are using in their home theaters today, the Home Theater PC and perhaps even a media server to offer up audio and video. 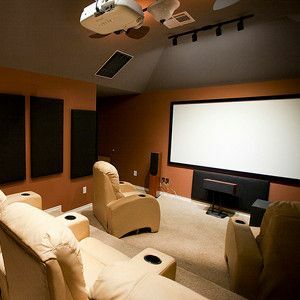 A traditional Home Theater has grown to being more of a complete entertainment setup that for an increasing number includes gaming, either PC and or consoles like the XBox and PS3's I suppose that if you covered all of these it would exceed the scope of an article and would be better suited to one of the MakeUseOf .pdf guides. If you are knowledgeable about these other topics I would encourage you to consider writing a complete guide. I personally have a HTPC with a blu-ray writer and because I was limited on budget I opted for a set of Logitech Z5500 5.1 speakers(sadly they are no longer available) instead of a receiver and speakers. My hearing is not the greatest due to working many years around aircraft and for me these speakers do the job for gaming as well as music and movies. A word of advice before spending large sums on expensive sound equipment is to ask yourself how good is your hearing? 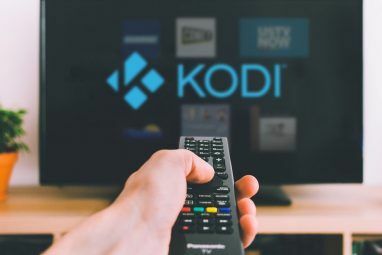 Also one advantage that you get by having a HTPC with a good sound card is it gives you the ability to adjust the output to the various speakers that enables you to tailor the sound to make up for not being able to optimally place the speakers. I am currently building a media server using an old server case and an OS called FreeNAS, This is a software raid setup based on FreeBSD OS using the Z file system. 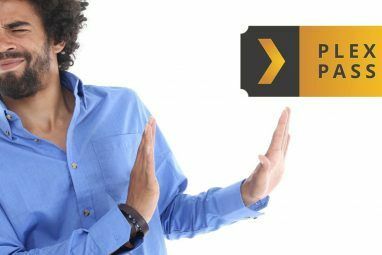 The problem I am having is deciding how to organize the media once it is built, does it need a full blown data base or will letting PLex media server manage it be sufficient. Thanks for the great article, lots of good information some of it I never really thought about before reading it. Thanks for the input, a .PDF guide would be nice. If I can ever find time for it...! Surge protectors are great -but better answers don't cost that much more. I go to extremes - I have a surge protector on the entry control panel for the whole house, and while it isn't rated for such there is evidence it can even ward off a lightning strike - though you'll likely have to replace it after. Surge protectors are also usually incorporated into Uninterruptable Power Supplies - UPS units that will keep your computers up and running through a relatively short blackout (hour, maybe more). Just remember to have your router and modem plugged in too. broken wire - car knocking down a power pole, say - can burn out every microwave and television set in an entire neighbourhood, It''s nicer not to lose them. When you're looking at the distance from the screen, does it matter if the "television" is actually a computer monitor or a television? Right now, I'm using an older PC (running Mythbuntu) and a 23" monitor for my HTPC. According to EngineeringCalculation.net, I should have my couch a maximum of about 3' to 4' away from the screen. If I wanted to set it up where I have the couch now, I'd need to buy at least a 55" television (as I have a 10' by 15' room). Does the distance from the television change if it's a computer monitor instead of an actual television? My home theater setup is an older PC running a media center application with a monitor (right now about a 23" one). According to EngineeringCalculator.net, my couch should only be about 2' to 3' away from it. You'll want to be close to something that small, yes. And monitors often are a bit different, if only because they have relatively high resolutions compared to their size. Then again, I don't know what res your monitor is. Thanks. I just rearranged everything, and the couch is about 6 feet away from the monitor now. I'll have to check the resolution on the monitor, but I know when Myth TV runs, it's a lot bigger (read as more like 1024x768 or lower) then what it's normally set at. Down the road, I'll invest in a small television (26" or 32") to replace the monitor. It was a steal at Thanksgiving, so that's why I picked it up. "is EngeineringCalculator.net." Whoops. Fortunately, the link itself is correct. Allow for heat dissipation for TV, recievers, etc. Don't run power cords inside wall cavities or under rugs. Fire danger. Run signal lines away from power lines. If they have to cross then cross them at a 90* angle to reduce noise. Make sure everything is grounded. Safety concern and it reduces/eliminates 60 hz hum. Don't spray cleaner or any other liquid directly on a screen. You run the risk of damaging the screen. Use a clean, slightly damp, microfiber cloth that you'll use ONLY for cleaning the front panel of your TV. Don't wash it with regular items like towels. Don't use fabric softener. Anchor your TV to the wall to avoid it falling over on children or during an earthquake. Many children have have been hurt or killed from this and its a simple fix. Anchoring is also a good idea if you have pets or a Wii! Thanks Matt. I will remember your advise! I have a question regarding sound systems and I dont know whether I should put it up here or not. Whats the difference between the traditional speakers which includes a sub, mid range and tweeter, and the new 2.1, 5.1 etc systems. Do the 5.1 etc have better sound quality and experience, or are they just a new cost cutting way to reduce number of subs. I am asking this as I have seen some old sound systems that have really nice sound to it. Any insight on this would be much appreciated. The traditional sub, mid-range, tweeter setup uses separate drivers (speaker cones) to transmit different frequencies (low, medium, and high frequencies), while still normally having two channels (left and right). This is useful because a small speaker cone can't move enough air to give good bass sounds, and a large speaker cone can't move fast enough to give good treble sounds. By splitting the signal between woofers (large drivers) and tweeters (small drivers) you can get good reproduction of both, if done well. The new surround-sound systems (2.1, 5.1, 7.1, etc) use more channels driving speakers which are spacially distributed. A 5.1 system uses 5 sets of speakers located in the front center (where the TV is) and around the room (left/right, front/back) so sound is coming to you from all directions. The ".1" refers to a single subwoofer channel which can be placed anywhere, as low frequencies are not as directional as higher frequencies. The individual speakers in a surround-sound system may still have woofers and tweeters, as the concerns that caused them to be used are still there. A "2.1" surround-sound setup is essentially the same as a "traditional" stereo speaker setup with an additional subwoofer channel. Decent speakers make up for an awful lot of issues. In particular, pay for a good center channel speaker. If speaker placement is an issue, particularly due to odd room shape or available space, sound projectors can be a decent alternative. Buy cables from sites like Monoprice or Amazon. Walmart still wants $25 for an HDMI cable and Radio Shack isn't any better. Proper, non-stupid AV setups mean using the BEST type of connections that are fed in to one of the inputs on your AV Receiver or sound bar, with a single HDMI output to your TV. Don't re-use Composite Video cables just because they're already in the back of your DVD player if it has the option to use S-video or Component out. These days almost everything is or can be connected with HDMI cables, so there's really no excuse for using anything else. A lot of the stuff behind your TV wants to connect to the internet now. A lot of that same stuff is bandwidth-intensive streaming video. When you're setting up your AV system, put a $15 5-port Ethernet Switch back there and run a wire back to your home router instead of relying on crappy 802.11. Can't run a proper wire? Pay $80 for a Homeplug Kit. Wrap some masking tape around each end of cables behind your TV/Entertainment center. I use colored dots from markers to indicate pairings on the tape. Large binder clips are a really cheap and easy all-purpose cable management tool. "don’t place your television opposite a very large window." Don't place the television NEXT to a window that is sunlit at any time during the day. If that is the only wall available, blackout curtains may be needed.